With the increasing penetration of mobile and mobile devices across India, there is a need for Digital Financial Services in the Retail sector to spread their base. Spiritus Payments is working on that journey towards Digital Inclusion of Retail merchants. Spiritus Payments is a key contributor in this value chain to enable Digital Payments and facilitate Digital Access to these Retail merchants. What do we do? We are a Technology start-up in the Retail Payments domain with a vision to help consumer facing Micro, small and self employed businesses along with emerging online and offline e- commerce merchants to accept card-less and cash-less COD, face to face payments with ease. Spiritus Payments wants to empower these businessmen to participate in mainstream finance by creating a digital trail. How do we do it? We use Technology to help them digitize their daily sales to become eligible for mainstream finance. The good old preference for cash transactions coupled with low key transactions and the additional cost of bearing MDR were some of the main factors for their digital exclusion. 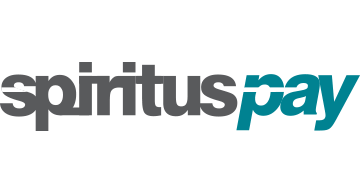 Spiritus Payments is a poor man’s gateway to this hindrance by contributing to the Payments Acceptance Infrastructure. Our innovative POS service can be used anywhere along with basic mobile connectivity.